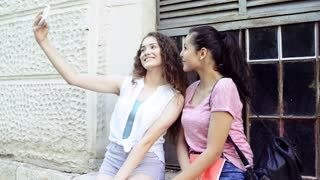 student girls in front of university taking selfie. Group of students in front of university taking selfie. Charming mature woman using selfie stick. 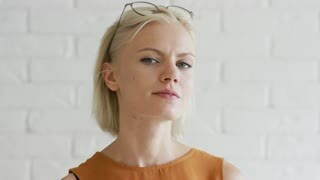 Beautiful business lady taking selfie with monopod on blurred background. 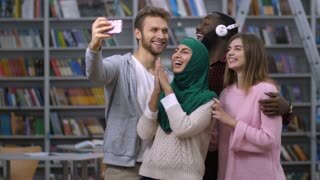 Excited couple of diverse multi ethnic students taking selfie on smart phone while relaxing in university library. Carefree college friends making self portrait photo on cellphone in academic library.